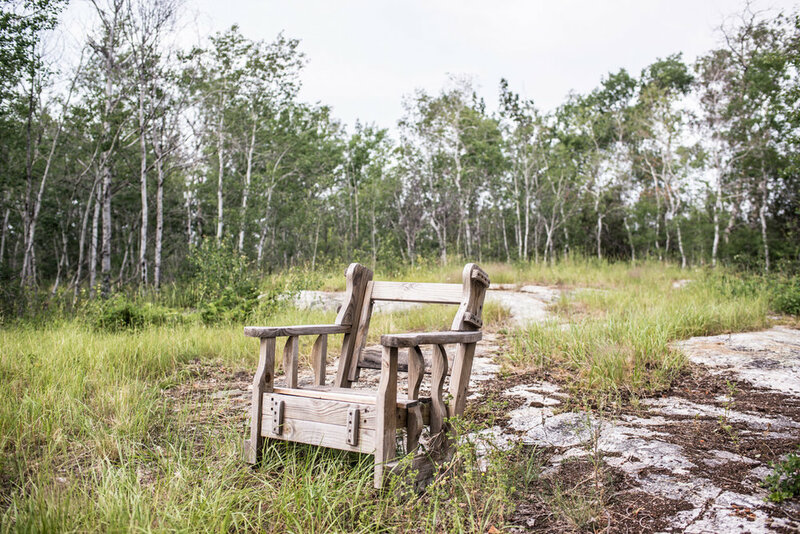 This ongoing photo project represents my time in the Athabasca region. 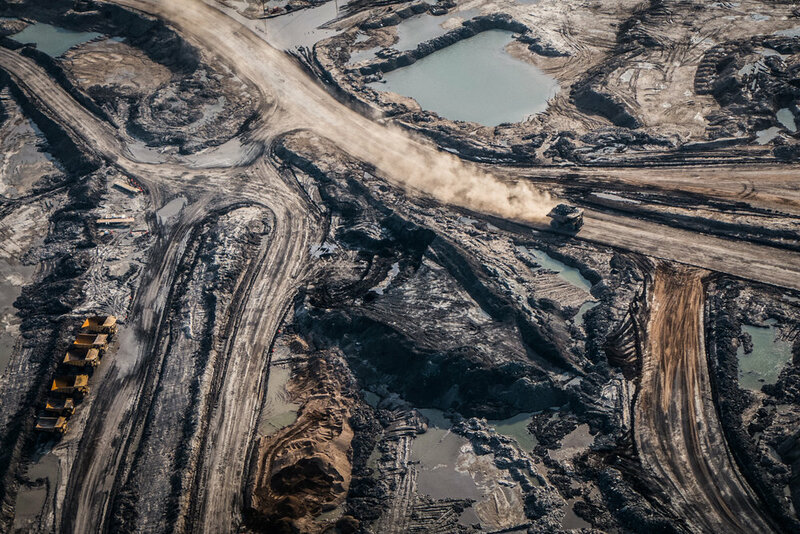 It mixes photos of the social life of the Athabasca region with photos of the oil sands industry to show the complexity of the place and changing yet continuous relationships with the land. Embarras River, Lake Athabasca, October 2017. Suncor South Tailings Pond, August 2014. Suncor Millennium Mine, August 2014. 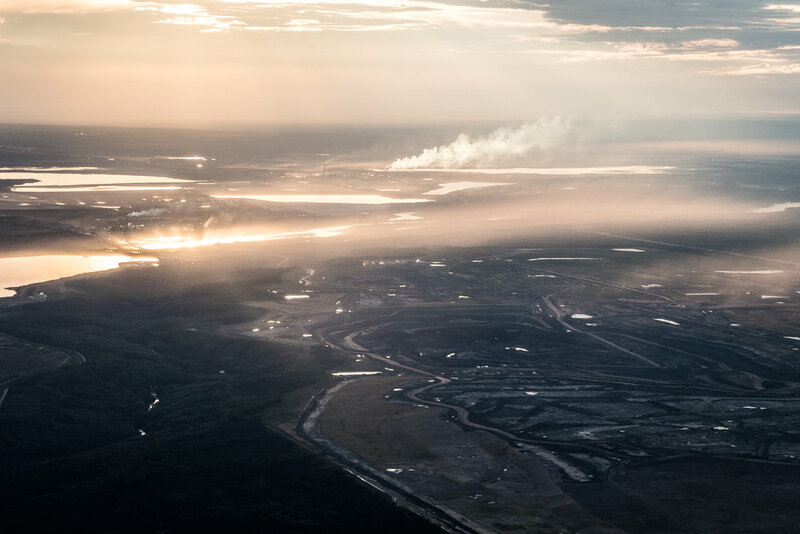 Syncrude Mildred Lake North Mine, August 2014. The Golosky family clearing a down tree, July 2014. 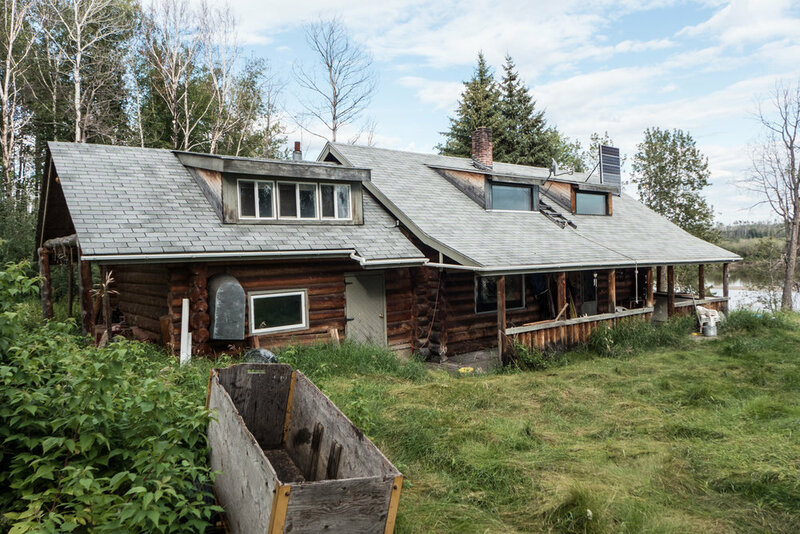 The Golosky family owns traplines near Fort McMurray that have been passed down through the generations. Doug Golosky is a prominent Métis businessman who prefers the trapline, July 2014. Touring the Golosky traplines with Tara Joly for a Traditional Land Use study, July 2014. 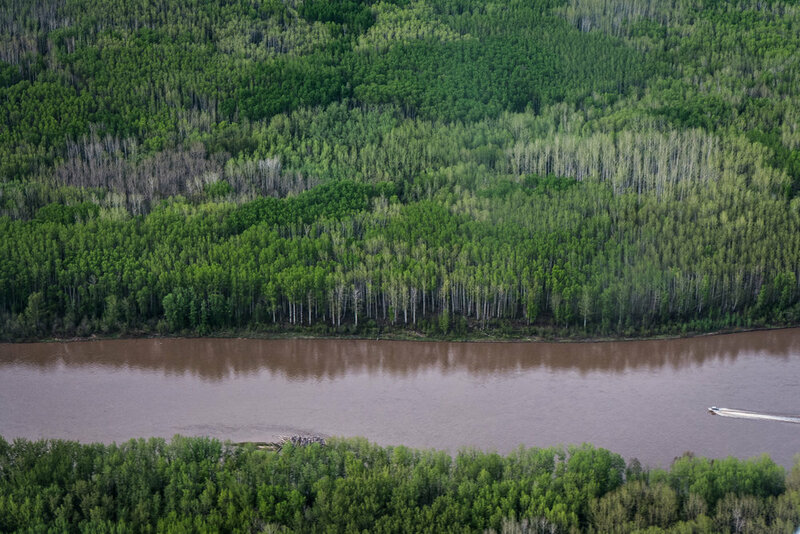 Major power and pipeline corridor west of Fort McMurray, July 2014. Dave Waniandy at Poplar Point, August 2014. Army truck from the Second World War at Embarras Portage, August 2014. 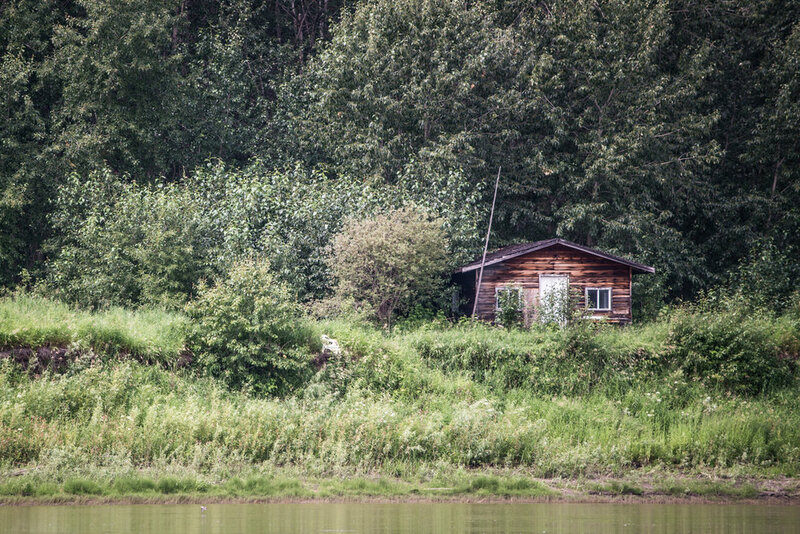 Arne Hermansen’s cabin, Athabasca River, August 2015. Arne Hermansen moved to the Athabasca from Norway as a teenager, inspired by the writings of Helge Ingstad. He has been a trapper for over 50 years. 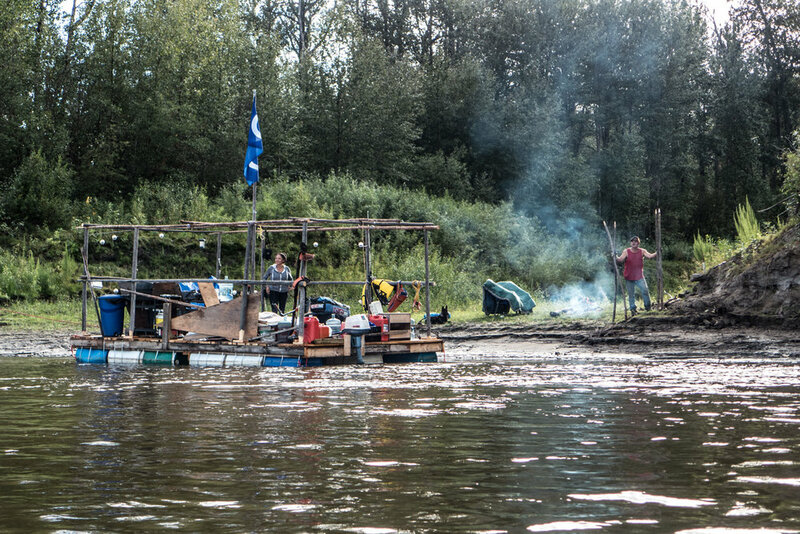 Lloyd Grant built this raft in Fort McMurray and spent 10 days floating it up to Fort Chipewyan to make a dock for a family member. August 2015. 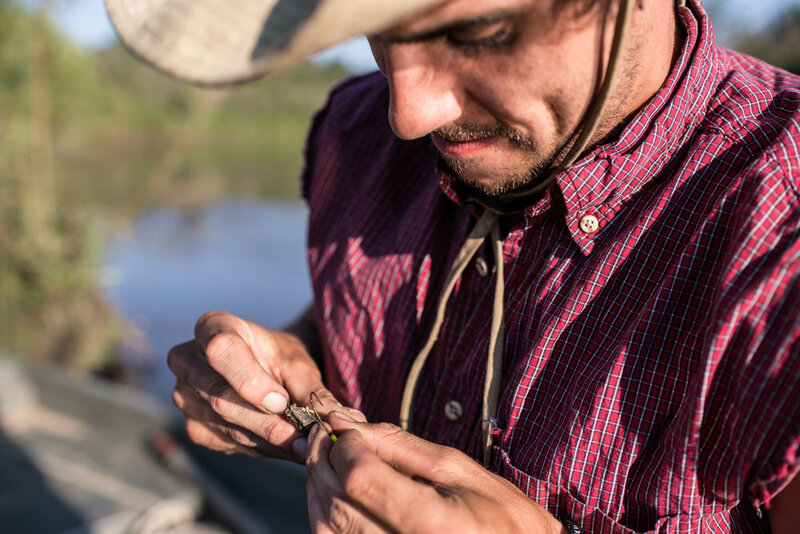 Roy Ladouceur demonstrating how to make a rabbit snare, August 2015. Lloyd Grant’s raft at Embarras Portage, August 2015. Ron Campbell and Sara Loutitt showed up on a rainy down day on the McMurray Métis Athabasca River canoe trip with fish and bannock. August 2015. Tara Joly photographing Roy Ladouceur showing Jessica Weber how to set a rabbit snare, August 2015. Suncor Millennium Mine and Syncrude Mildred Lake in the distance, August 2015. 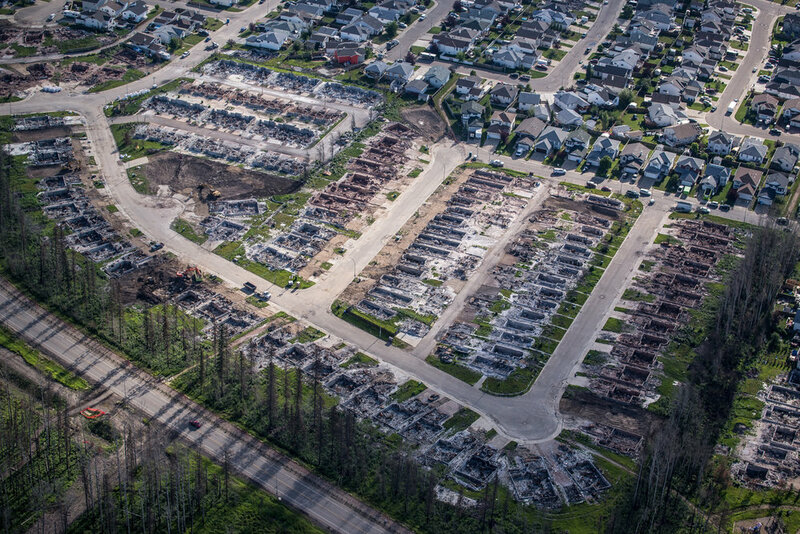 Houses in Wood Buffalo Estates burnt down in the Fort McMurray Wildfires, July 2016. 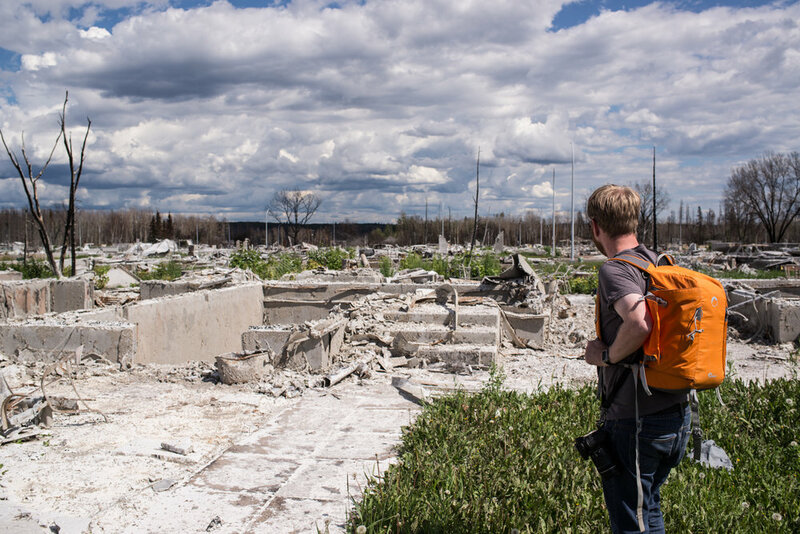 “Dude, where’s my house?” Peter Fortna looking at the remnants of his house burnt down in the Fort McMurray wildfires, July 2016. Syncrude Mildred Lake Southwest Tailings Pond, July 2016. 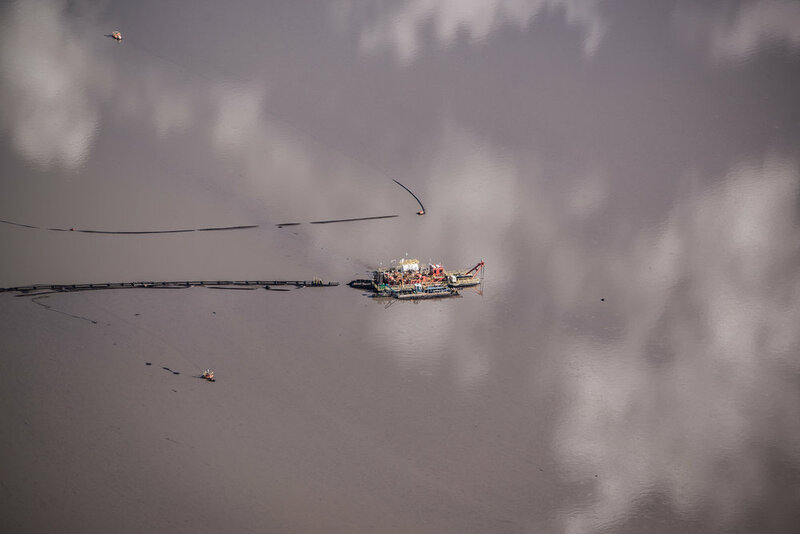 Dredge barge on a tailings pond, July 2016. Syncrude Mildred Lake, July 2016. Syncrude Aurora North Mine, July 2016. Shell Muskeg River Tailings Pond, July 2016. Syncrude Aurora North Mine bitumen crushers, July 2016. Syncrude Aurora North, July 2016. Suncor Base Mine and Syncrude Mildred Lake in the distance, July 2016. Bitumount plant, July 2017. Bitumount was an experimental site that was abandoned in 1958. A sapling growing in the tar at Bitumount, July 2017. McMurray Métis canoe trip, July 2017. Leonard Hansen Sr. is a river guide and member of the McMurray Métis Board of Directors, July 2017. Lenny Hansen Jr. releasing a jackfish, July 2017. Roy Ladouceur is a hunter, trapper, and river guide who lives at Poplar Point, July 2017. Lenny Hansen Jr. baiting a hook, July 2017. HBC trading post at Embarras Portage, July 2017. Archie Antoine on the Embarras River, July 2017. Roy used to cut 1000 fish a day working in the Lake Athabasca commercial fishery, July 2017. Archie Antoine is an Elder from Mikisew Cree First Nation. He is in his 80s and still lives on his trapline, July 2017. Approaching Lake Mamawi, July 2017. Pelicans migrate through the Athabasca Delta, July 2017. Carmen Wells collecting eagle feathers, July 2017. Water intake for the new Suncor Fort Hills Mine, July 2017. Airplane approaching the Canadian Natural Resources Limited Horizon Mine, July 2017. 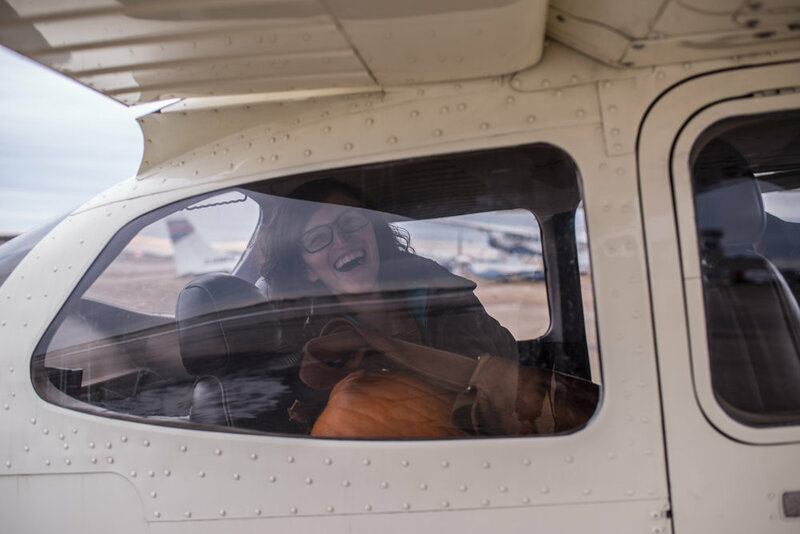 Tara Joly and I had an extra seat on our flight to Fort Chipewyan so we took Sara Loutitt a pumpkin, October 2017. 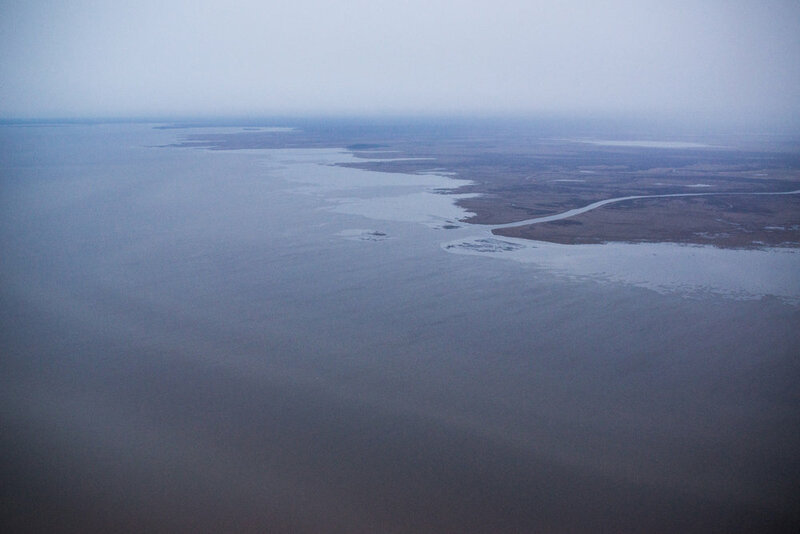 Flying to Fort Chipewyan, October 2017. Imperial Oil Kearl Lake Mine, October 2017. 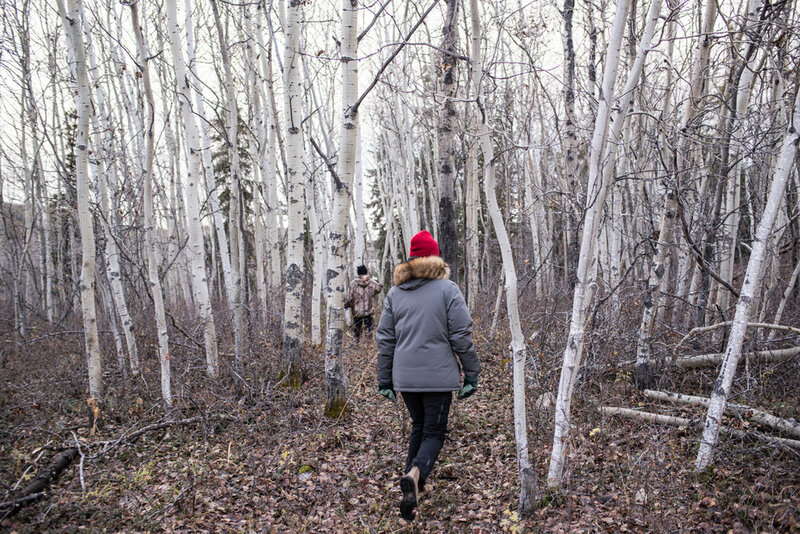 Approaching Fort Chipewyan, October 2017. Sara Loutitt and Tara Joly, October 2017. Ron Campbell taking us to his cabin, October 2017. Heading to Ron Campbell’s cabin, October 2017. Ron Campbell showing us a puffball, October 2017. Ron with the day’s catch, October 2017. Ron is a prolific hunter and fisher who feeds dozens of Elders in Fort Chip. Catch of the day, October 2017. Sara showing us how to singe the remaining feathers off the duck, October 2017. Sara singeing a duck, October 2017. Fish eggs are a delicacy, October 2017. Sunset over Syncrude and Suncor, October 2017. 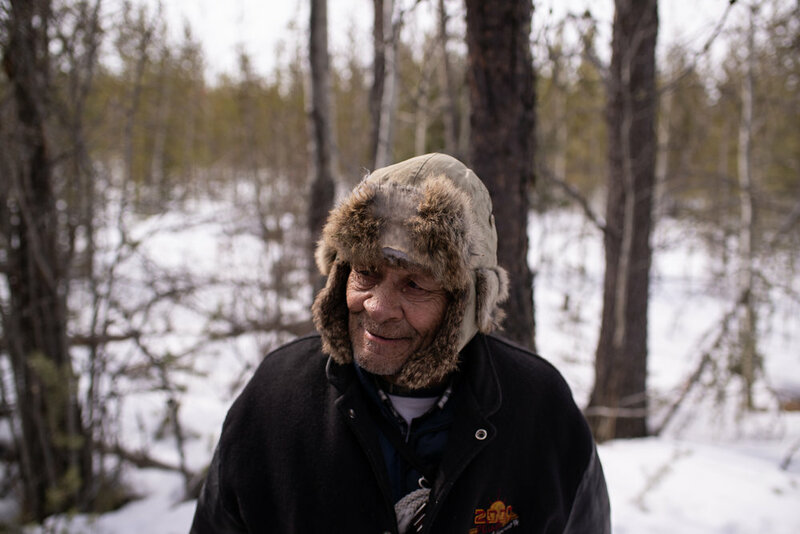 Massey Boucher is a Métis trapper who lives on his line south of Fort McMurray, April 2018. Massey’s dog Buck, April 2018. Massey showing Tara a muskrat, April 2018. Massey showing us a hide stretcher, April 2018.